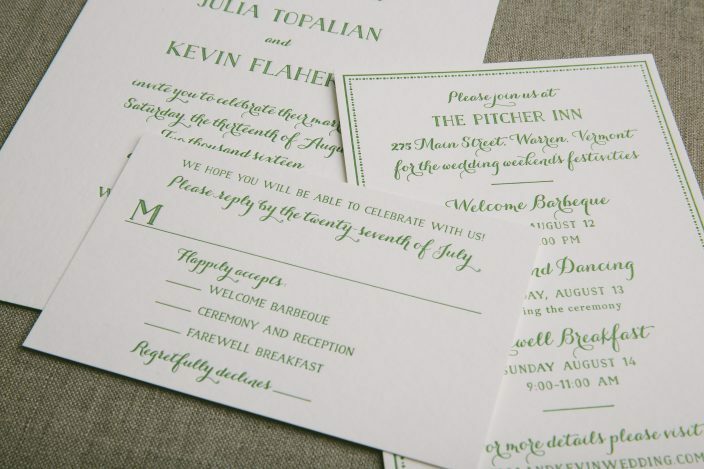 Our grass letterpress ink is a popular color during the holidays and this festive photo card proves its popularity. 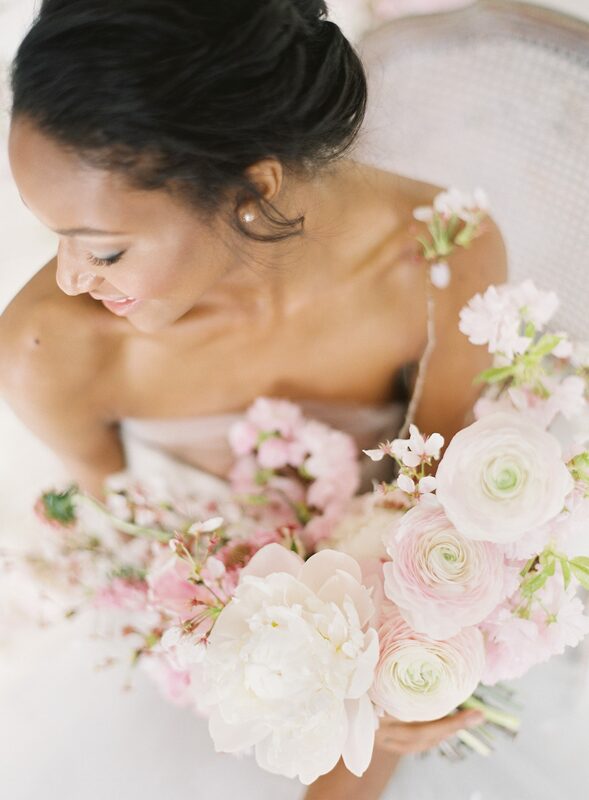 Paired with one of our signature liners this combination made our nice list. 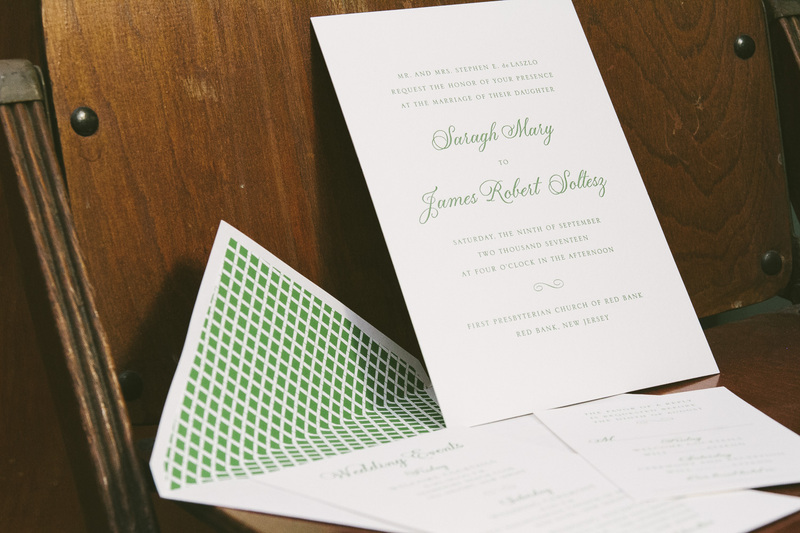 Thanks to RSVP for the creative use of our holiday customizations! These holiday cards will surely put you in the Christmas spirit! 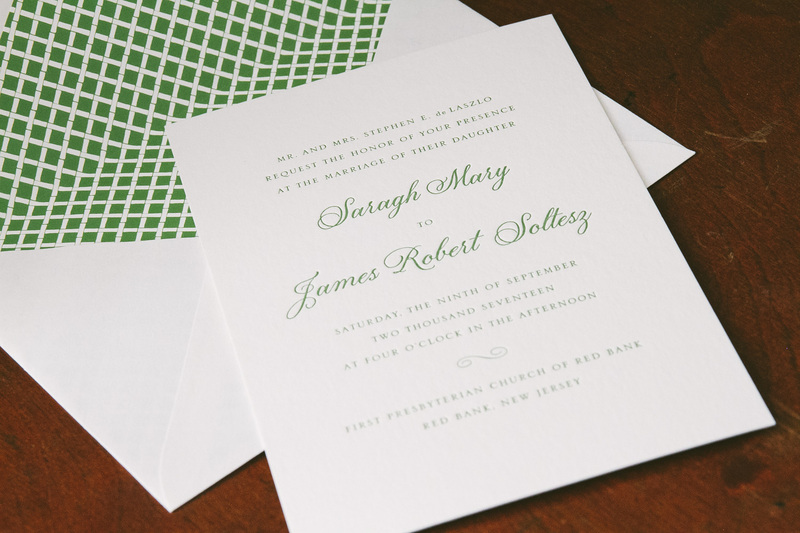 We adore the pairing of our coral and grass inks that showcase a bubbly border. 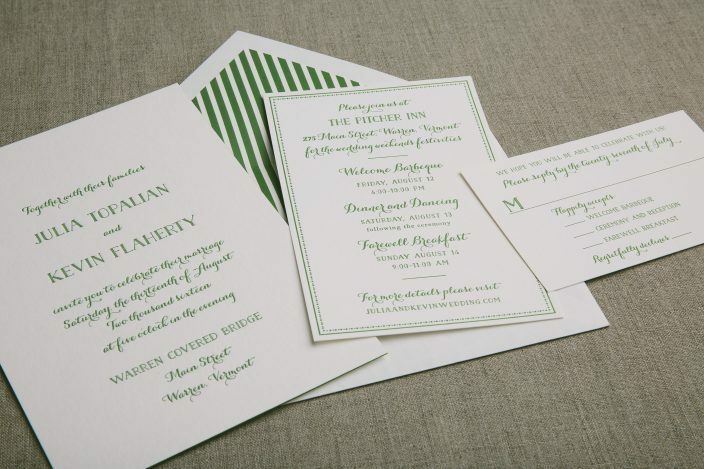 We thank our friends at By Invitation Only in Little Rock, Arkansas for submitting these for us to print. 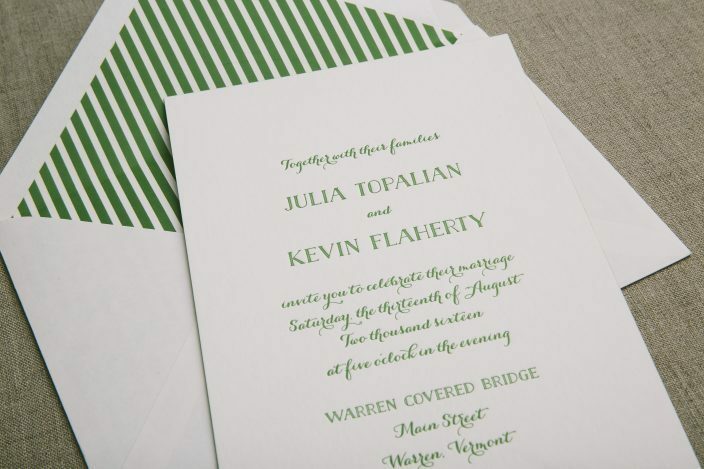 This amazing Sutton wedding invitation suite was put together by one of our wonderful stores – Kate’s Paperie. 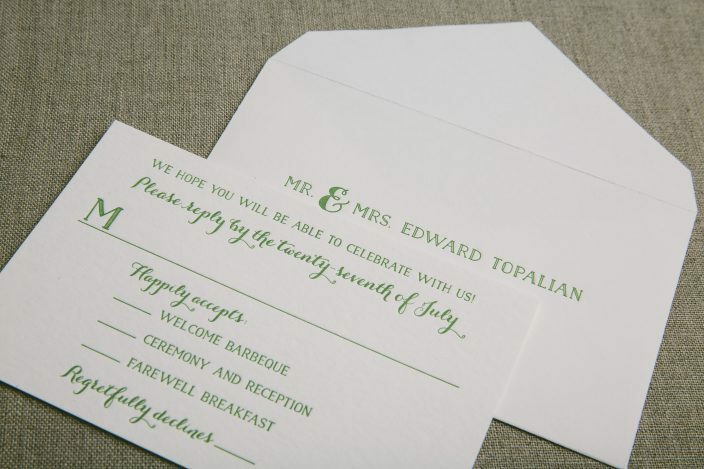 We love the event card on this suite with the perforated and removable reply postcard. We thank our friends from Paper & Chocolate for this Breton customization. The die-cut pieces are a great look for this suite and the back patterning really gives this some pop. 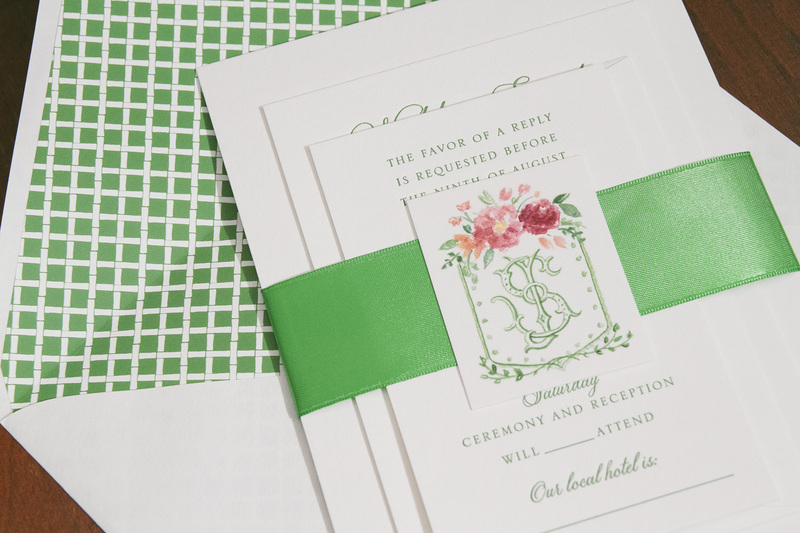 The custom folio packages these invitations perfectly for a polished look.